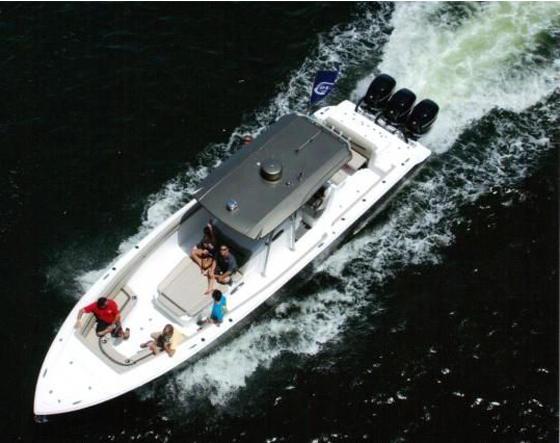 Add to this options list underwater lights, central vacuum, custom canvas and our custom Boston Yacht interior decor and you’ll be wanting to put your name on the transom of this beauty! 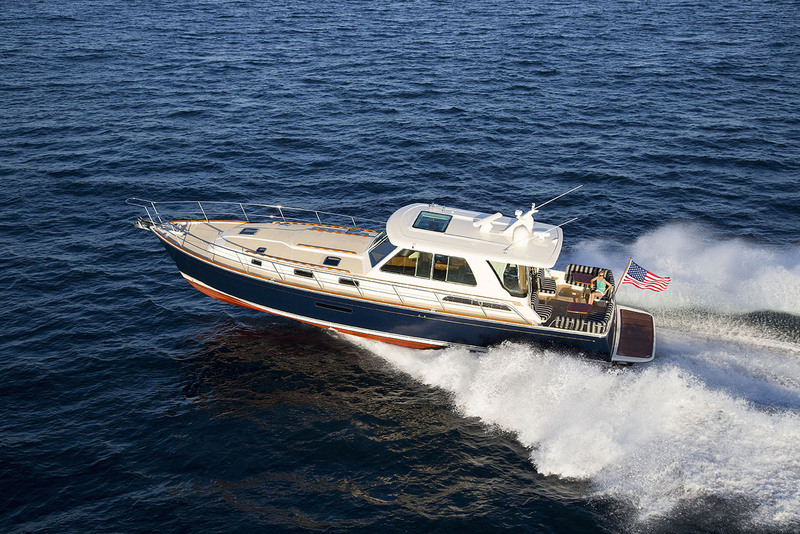 The spacious cockpit offers plenty of seating and entertaining options including the award winning Kenyon grill that heats quickly with an internally stored collapsible easy-clean lid so grilling onboard has never been easier or cleaner. All this while connecting to the two settee salon with Captain & Mate Stidd seats at the helm. 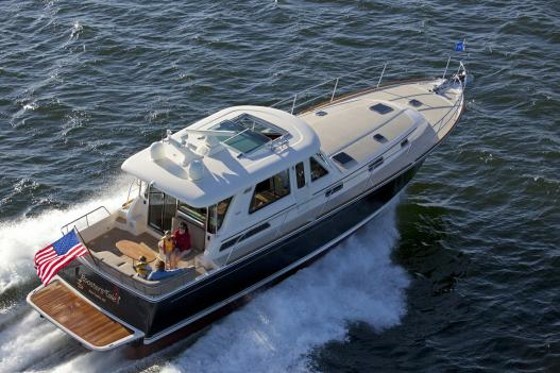 The mid galley location allows you to see straight to through the salon to the cockpit while also conversing with those at the helm and the lower private dinette area. The dinette area with cutback bulkhead easily converts to sleep two, with dedicated drawer and locker space. Further forward are the head with access from companionway and master. The master offers the comforts of home with great storage, cedar lined closet, under bed storage, and perfect placement of light switches, outlets and a skylight with full shade and screen option at your fingertips. 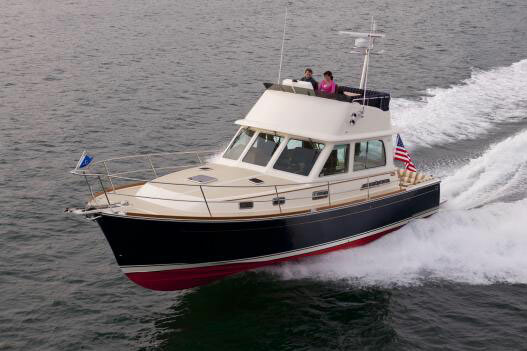 The interior boasts American cherry, teak & holly flooring and beautiful crafted interiors built in the Maine tradition of boat building. 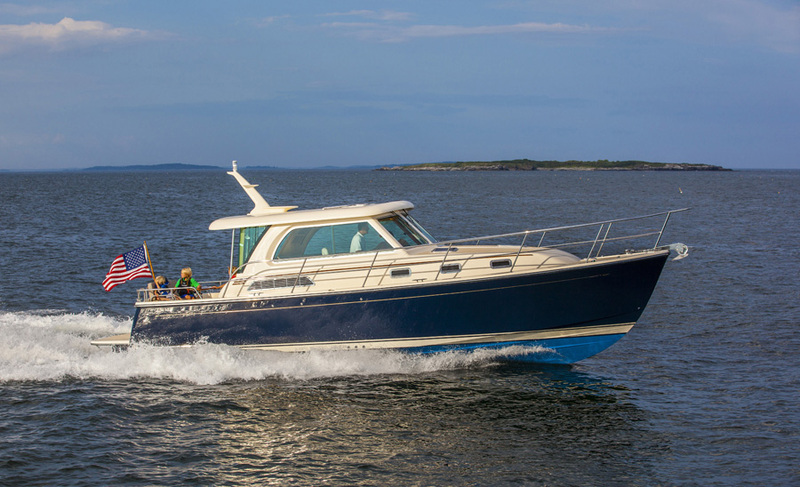 Please take note of the complete specification list which highlights the standards equipment and our options included on this model and call now to join both the Sabre Yacht and Boston Yacht boating families. Other than running shots all photos are actual.